Perfect for matting photos and artwork for picture frames. 25 best selling colors in one pack. 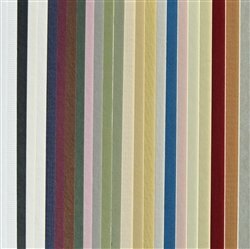 One 32 x 40 Cream core sheet of each color: Polar White, Artic White, Topsail White, Salem Black, Porcelain, Chalk Speckle, Navy, Maroon, Chocolate, Latte, Zucchini, Gothic Gray, Oyster, Blush, Beige, Bayberry, Clover, Colonial Tan, Electric Blue, Off White, Rattan, Mulberry, Storm Gray, Light Adobe, Soft Flamingo.